Posted on May 12, 2014, in Inspiring stories, motivational stories, Tales2Inspire and tagged "childhood abuse", "hot chocolate memories", author, Lois W. Stern, Mary Romero, Tales2Inspire. Bookmark the permalink. 41 Comments. Loved reading this memoir, I could taste the chocolate. It is such an important lesson to teach everyone, parents and children alike…keep your word. Don’t make promises that you will not keep. I am so glad you enjoyed reading my tale as it is always my hope to reach out to help parents understand the ramifications of their action when it comes to their children. It is by our words and actions that our children base much of their own decision making as they grow and mature. And It is especially imperative for fathers to be present, physically and emotionally for their little girls as they have a large role in what type of partner their daughters will pick later in life. Thank you for taking your time to read my story. You are appreciated! I’m so glad you took the time to let your reader know your feelings. And I’m sure you feel rewarded to learn that your story has touched others, as it touched me. First let me thank you for taking your time to read my story. I would also like to thank you for dedicating yourself to helping others as there are so many out there who are in desperate need of understanding and the help of those who can enable them with better coping skills and ‘tools of life’. Yes, indeed, my dedication and passion to the youth of our society who have been victimized of all types of abuse and violence does stem from my family of origin and also the realization that they are our future leaders and we must invest our time and effort for their betterment. What a beautiful story and told with all the emotions that are linked with the memories. You are indeed brave to have turned your negatives into positives. It is so true that children learn much more from what they see than what they hear. Still, a child does feel a great sense of betrayal when words do not match actions. Your story made me cry for all the children who have been betrayed by the words of adults whom they trusted. May you be blessed for all the good work that you are doing. Thank you so much for expressing your feelings so beautifully! Some people repeat the mistakes of their parents and others, like Mary, learn from those miss_examples and move on to higher ground. Your kind words have humbled my spirit as I am so touched that you were able to gleen the messages I was intending to impart through my writing. And it is through readers such as yourself that I remain to be inspired to continue my work with the youth of our society. Thank you for your own caring heart. The words you choose to tell your story, flow perfectly. In my minds eye I can see your father stirring the hot chocolate, the smell of the steamy cup, the bite of the cold on your face. Actions do speak louder than words, this is a lesson we all should learn, and be reminded of from time to time. Thank you for the reminder! 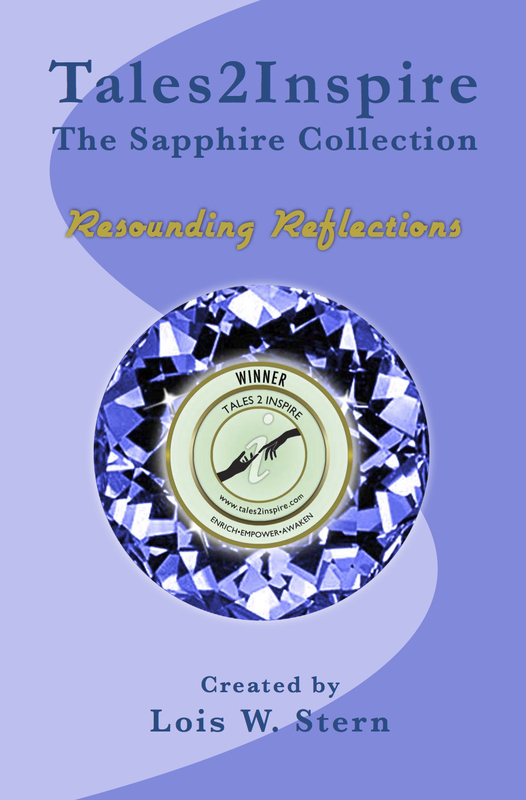 I feel a special pride when one of my authors is able to touch someone’s heart or soul through one of their stories. Thank you for taking the time to let Mary know she touched yours. First let me thank you for taking the time to read my story. It absolutely thrills me that you were able to ‘feel’ my words in your “minds eye” as this is what every writer hopes for. And to be able to take away those small reminders of being thankful and grateful to those who love us and teach us such valuable lessons that we are then able to pass down to our own families, is humbling indeed. Having been in your home, knowing your daughters, and you personally, I can say that you have taken your past and done beautiful things with it. You not only have created a wonderful family, but, now, you have been able to go out and make a real difference in not only the community, but, to places far beyond. Your passion, intelligence, integerity, and knowledge will take you far. I am thrilled that you are taking the hurts and disappoints of your past, and making someone else’s future brighter because of it. I went back to school for the very same reason, we are both lucky that we found the inner strength. This article is as inspiring as you are in your everyday life. Much love to you. It is wonderful to see how Mary has been able to touch so many lives through her writing – to give them renewed hope as they forge a better path for themselves. Thank you very much for taking time out of your busy schedule to read my story and, it is nice to hear from you….it has been some time, hasn’t it! I am truly humbled by your kind and passionate words. As you are well aware, this is just one of many of my stories yet to be shared in order to help other victims of child abuse and domestic violence, it is but one step toward creating more awareness. I am sure, with your inner strength and fortitude, you are helping others as well. This sounds like the beginning of a great story. It leaves the reader want to learn more of your story. I often told the girls at the treatment center at which I worked that they needed to write their stories because it is a very powerful thing for the teller and the reader. Thanks so much for reading my story and, you are correct, this is but a minute in the grand scheme of my life and I am thrilled that you enjoyed it. I am also glad to hear that you have worked with young women at a treatment center as there is a great need for people like yourself. Encouraging youth or anyone who has gone through any type of victimization, to write about their experiences can be very therapeutic and empowering. It can help not only in the healing process but also allow others to know that they are not alone. Heartfelt story. Such a shame you have to block out members of your family even when you have the grace to share a rare good memory. 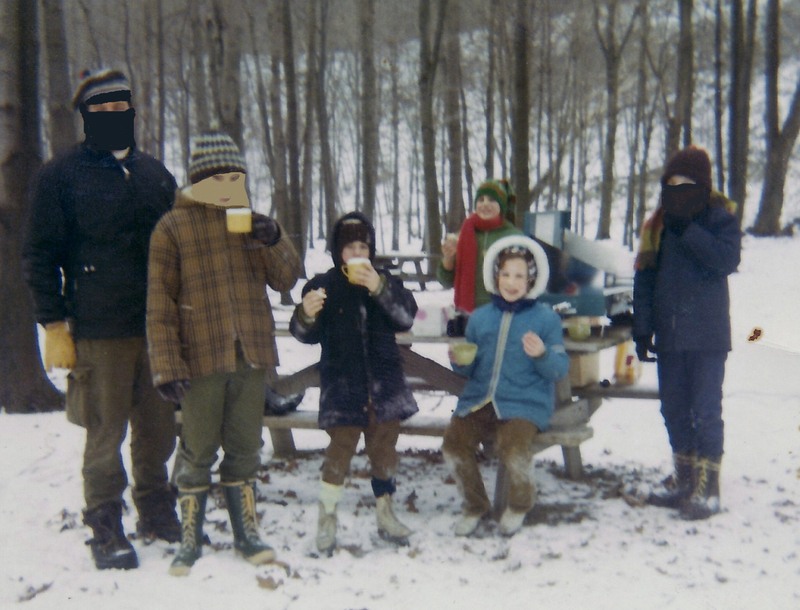 At the time Mary submitted her story to Tales2Inspire, I thought there was a defect in the family photo and questioned her about the blocked out faces. I would have loved to have seen the photo intact with the family together, but sometimes early memories leave scars that never quite disappear and I realized I had to be sensitive to that issue. Thank you Lois. You did indeed ask me about the photo and I truly appreciate your sensitivity. I would have loved to be able to share not only the photo intact but the entire story with all of my siblings but, I have had to accept that three out of five isn’t bad. A hard pill to swallow, I will admit. But, a reality all the same. You can be assured….my heart still breaks when I look at this photo and any other very few that I possess. Yes, Denise, it is indeed a shame but, it is also a very, very, sad reminder to me just how deep the scars from abuse can run. And I wish it were just a defect in the photo but, hence, I couldn’t be so lucky….just a defect within the familial unit. This also tells me that, with all the skills, love, and knowledge that I have and, as hard as I have tried over the years to reconcile whatever the issues are, (as I am still in the dark) I have had to accept that some people simply do not want to move forward. I would give just about anything to be able to share the very few good memories but, even moreso, build new one’s within our own families so that our children can see that the cycles of abuse can and have been broken. I sincerely appreciate your observation, Denise, and I think you will be on mind a lot today! Mary, my memoir is embedded in my novel, Rose’s Will, and the inability or unwillingness to move forward is a huge theme. For me, my mother’s paralyzing rigidity was a devastating reality to accept. I never learned to accept it. I spent a lifetime turning it over a million times to examine it, hoping to find a clue to penetrating such a dense barrier. Of course there must be a way if I could only figure it out. When she died, it was an immense relief. Like you I have few good memories and when I saw the members of your family blocked out of that picture, it struck me deeply to SEE that barrier we have been trying to penetrate in its physical form. My sincere empathy is with you. What a beautiful comment, Mary and Denise both. Mary, I hope your sibling get to read your story some day. Wow, I could visualize your story from start to finish. What a great stroy. Thank you for sharing! Denise, you have given me a new light in which to view the many heartaches that not only we share but, the rest of our family members, I must assume. My mother is still alive and, I can assure you, you are not alone in experiencing the “paralyzing rigidity” that you did with your mother. It is my belief that, for my mother (and maybe yours as well) to ever have accepted any role in any of the actions that took place when we were children, would be admitting unacceptable behavior on her part and, hence, not taking care of her children as she should have. This, as a mother, would be a fate worse than death. We have discussed many issues over the years and it took a very long time for her to realize that all it took was a simple apology for any pain that was caused. I had to let her know that I forgave her as I realized she too was a victim for many years and truly did the best she could with what she had. Forgiveness is key for us to move forward even if those who played a role do not act/react the way we would like them to. Thank you for your thoughts and I look forward to our paths meeting again! It is always so fulfilling and rewarding when a writer hears words like yours as we try to reach our reader’s in many ways. I thank you for inspiring me to continue my writing and using more visual concepts. An important and timely story for healing! I am so very glad that you found my story/experience helpful in some way. Any time I can help in someone’s healing, it has been a day worthwhile. Ps. You are an inspiration to us all. Thank you! I need to express my appreciation over and over again to all of you who were touched by Mary’s story and took the time to tell her so. As the creator of this Tales2Inspire “Authors Helping Authors” project, it is indeed gratifying to learn how deeply other readers have been impacted by her ‘tale’. You can read more inspiring stories of body, mind and soul at my Facebook PAGE. Rose, a.k.a. Mary, let me know that she made a special effort to attend my book signing engagement after reading this ‘Hot Chocolate’ story. I was so touched that she was, indeed, the ‘talk of the day’ as there were many types of events going on this weekend in the area that she could have attended. And, I forgot to tell her one more thing that I did just in honor of her. I will sign out for now and make another post. I just wanted you to know that, for those who purchased the book, they purchased it for the very purpose it was written and I could not ask for anything more! From one survivor to another, I was very honored to be able to meet you today at my book signing engagement at Miss Molly’s Tea Room and Gift Shop in Medina, Ohio. I’m sorry I had not read your post prior to meeting you and that we didn’t have more time to chat at the event. I would have loved the opportunity to talk more with you about your experiences and, hopefully, you will one day be able to feel comfortable in writing about them. As I mentioned to you at the event, please feel free to contact me any time as I would be happy to support you in your endeavor. You have a very special soul, Mary. Continue to write and share yourself with the world. And I am humbly gratified that you found my writing inspiring and, hopefully, helpful to you in your healing process. I wanted to let you know one other thing. I spoke with the owner of Miss Molly’s after the event was over and let him know that you thought I was going to be giving a speaking engagement. In part, because of this, he has invited me back, opening us Miss Molly’s for this special engagement, so that I can give a speaking engagement on the very important topics of child abuse and domestic violence. I don’t know when it will be as he said he will have to choose a date but, I wanted you to be the first to know! Thank you for sharing, Andrew and I sincerely hope you find my finalist tale, “The Heart of Home is Hot Chocolate” as inspirational as my book. Please feel free to read it through ‘Tales2Inspire’ and perhaps you can leave a comment with your feelings on it. Life is a journey to the unknown unless we choose to chart our own course! I met Mary through an “Authors Helping Authors” project I started last year when she submitted a short story which received a finalist award. You might want to check it out at: http://www.tales2inspire.com. Come to think of it, you might want to enter an inspiring ‘tale’ of your own. It sounds like you have some most inspiring stories to share. I’m sorry for your upbringing, but so touched by your memories and your sharing of them with the world. I especially like the way you relate the magic ingredient in the hot chocolate as being love for your children and not actually an “ingredient” at all. I’ve been teaching my own children to cook and bake for years; food is an important part of our heritage. One of the things I always tell them is that food that’s prepared with love always turns out better. When I have a flop in the kitchen, my daughter never fails to ask if I was angry or upset. She’ll always say, “You weren’t cooking with love, Mom.” And she’s usually right. There isn’t any abuse in my family history, but it still struck a chord with me. Thanks for sharing. Straci, thank you for your most heartfelt comment. 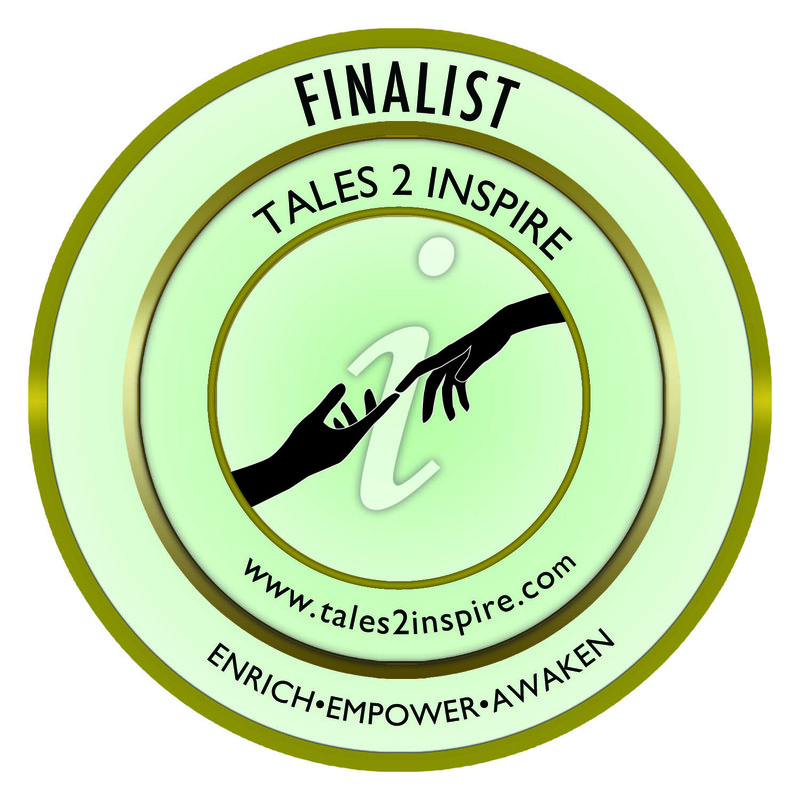 I’m sure Mary will be touched by your sentiments!As the creator of this Tales2Inspire “Authors Helping Authors” project/contest, I am elated by the impact these authors’ stories are having on others. Thank you. Oh Staci…thank you so much for taking the time to read my tale and, Lois was correct…you touched me heart with your own story of ‘love’ with your children. What makes me even more happy is that you were able to find the ‘positive’ in my tale and it is a big one at that! What is bigger than love, I don’t know but, I do know it is one of the most important ‘ingredients’ in any relationship. I truly smiled at your ‘flops in the kitchen’ because your dauther was sooo right! Even if we have our ‘flops’ we can laugh and know it was done out of love. Aren’t children the best?!! Mary, you’re right, kids and love are the best things we can ask for in life. And Lois, I think what you are doing here on this site is terrific. Thank you both.